Have you ever marveled at a piece of fine jewelry, wondering how it was manufactured to such a high standard of perfection? Well wonder no more, because with the TraxNYC Custom Jewelry manufacturing system you will get to travel along each step of the process with us, overseeing the production of your own piece of unique Custom Jewelry history. 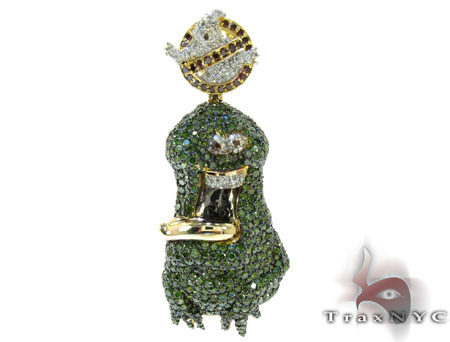 Custom Jewelry at TraxNYC is the method of choice for today’s savvy jewelry lovers. The concept behind it is just too hard for our customers to resist – the idea of owning a piece of completely unique jewelry that they themselves have designed. Added to this they are getting a piece of jewelry made by the world’s best diamond jewelry craftsmen. The quality of the pieces we produce is and will remain unsurpassed. In addition, our state-of-the-art production method has been the subject of much talk and of course much envy in the industry. Other jewelry companies want to be like Trax, but quite simply they just don’t have what it takes to innovate like we do. With a mix of high-technology and classic know-how, our Custom Jewelry customers are given exactly what they ask for, with no unwanted surprises. And they are always satisfied, we guarantee it. Choose from the finest gold and diamonds with Custom Jewelry at TraxNYC. Our expert setters will incorporate your materials of choice at the absolute lowest market rates – we’re not in the business of charging extortionist prices like many jewelers tend to do; customer satisfaction is the key to our success. So check out Custom Jewelry at TraxNYC today. Soon you could be the proud owner of a piece of diamond jewelry that you will cherish forever and that will be uniquely yours. TraxNYC – Accept no imitations, accept no limitations.